Knowing how to tell time in French is essential for traveling, meeting up with friends, making appointments, and getting to work or school on time. 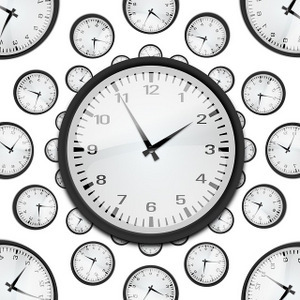 Once you learn these formulas, you’ll never have an excuse to be late again! There are three French translations for "time," each with a different meaning. J’ai passé du temps ici. I spent some time here. Je l’ai fait une fois. I did it one time. Only heure is needed for this lesson – when telling time, it’s equivalent to "o’clock." Heure is required, unlike o’clock. 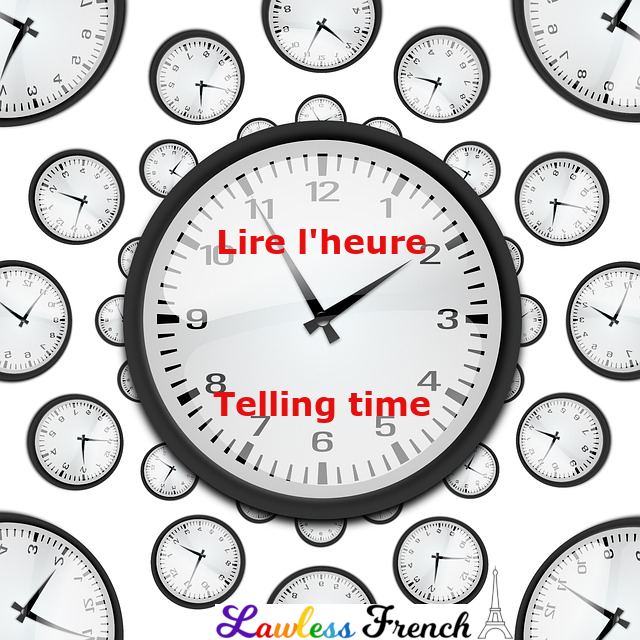 In English, we can say "It’s almost five" or "He’ll be here at eight thirty," but in French, you must say Il est presque cinq heures and Il arrivera à huit heures trente. The foundation of telling time is knowing the French numbers 1 through 24. Why not just 12? In French, time is usually based on the 24-hour clock, like military time. Instead of 1 to 11 a.m., followed by 12 to 11 p.m., the clock continues counting up from 12, so that 1 p.m. is 13, 2 p.m. is 14, all the way up to 24. Midnight itself can be stated as minuit, 24h00, or 0h00, but one minute later, 24 disappears: 0h01, 0h02, etc. While you definitely need to be able to understand the 24-hour clock, you don’t necessarily need to talk about time with it. Instead, you can use the phrases du matin to mean a.m., and then de l’après-midi from noon until around 6 p.m., followed by du soir until midnight. Though I’ve heard many French people speak otherwise, the official grammar rule is that the fractions et quart, et demie and moins le quart are informal and can only be used with 1 to 12. Once you’re into the 24-hour clock, you must use quinze, trente, and quarante-cinq. Il est is the only correct phrase for telling time. You cannot say c’est une heure. Also, it doesn’t matter that heure is a feminine noun: il est is impersonal, so you can’t say elle est une heure either.